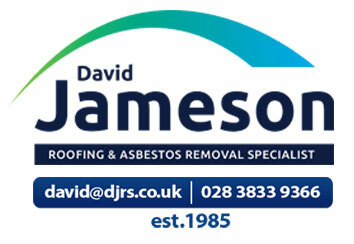 David Jameson Roofing still holding the standard as an investor in people! David Jameson Roofing has been awarded accreditation against the Investors in People Standard, demonstrating their commitment to high performance through good people management. The Portadown based firm, which is leading in Specialist Roofing and Asbestos was first accredited as an IIP organisation in 2001 and is still holding the accreditation to this day after a recent review. The company is a recognised leader in its sector, it holds the NFRC Gold Award for Health and Safety in Roofing and is the first company in the world to achieve the Environmental Management Standard BS8555 at level 6. In 2016 DJRS was awarded Chartered Building Company status, which demonstrates its commitments to competence and professionalism and operating to high business and ethical standards. DJRS successfully managed through one of the most challenging periods in the building industry and in recent years has gone from strength to strength in terms of business performance. They have achieved numerous industry awards and the companys reputation for having a highly skilled workforce means that it has won contracts even when they were not even the cheapest quote.